Only Jesus can make a church great. But he allows us to participate in that process. 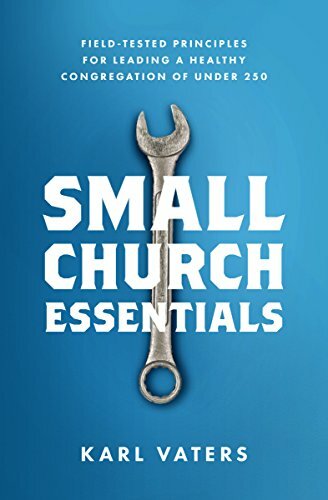 Behind every great church, large or small, is at least one pastor who stayed long enough to outlast the bad times and build on the good times. It is the most common thread for great churches. Pastors who stick around. But pastoral longevity has its dark side too. The tendency to become stale. Too many pastors rest on yesterday’s successes (real or imagined). They lose their passion, their heart and their effectiveness. Or they get tired of fighting entrenched problems, so they settle into survival mode. But pastors who lead churches into long-term health and effectiveness are always learning, adapting and growing. They outlast the bad times, learn from the failures and build on successes. The answer to keeping a long-term ministry valid is something I call Transition Without Relocation. If you do that, you’ll never overstay your welcome. What Is Transition Without Relocation? Simply put, Transition Without Relocation is the ability to stay fresh, learn, adapt, grow and try new things in the same church over a long period of time. Transition Without Relocation is the ability to stay fresh, learn, adapt, grow and try new things in the same church over a long period of time. The pastor transitions (internally), but doesn’t relocate (externally). Too many pastors do Relocation Without Transition. They stay at a church until they run out of ideas, energy or support. Then they pack up for a new church, taking their stale ideas with them. The pastor might experience a short honeymoon at the new church until the same problems happen again. Why? Because the pastor hasn’t changed anything but their geography. So how do we keep fresh in the same church for the long haul? Here are a few principles I’ve learned in the 23-plus years I’ve served my current church. A church that is more alive and vibrant now than ever. The best pastors I know have an unbridled curiosity. For God’s Word. For leadership. For human nature in all its glorious quirkiness. A pastor who’s always wanting to learn more is a good place to start.